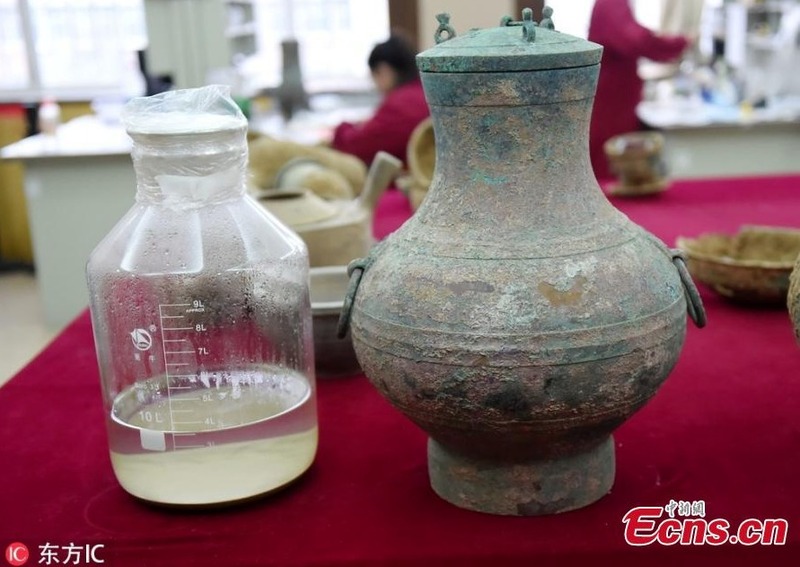 "There are 3.5 litres of the liquid in the colour of transparent yellow. 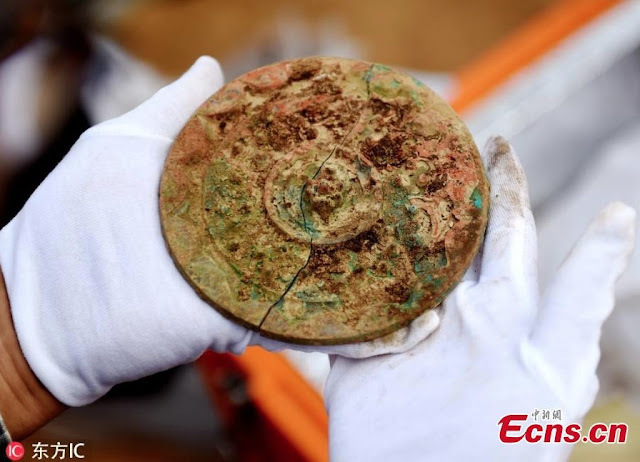 It smells like wine," said Shi Jiazhen, head of the Institute of Cultural Relics and Archaeology in the city of Luoyang. 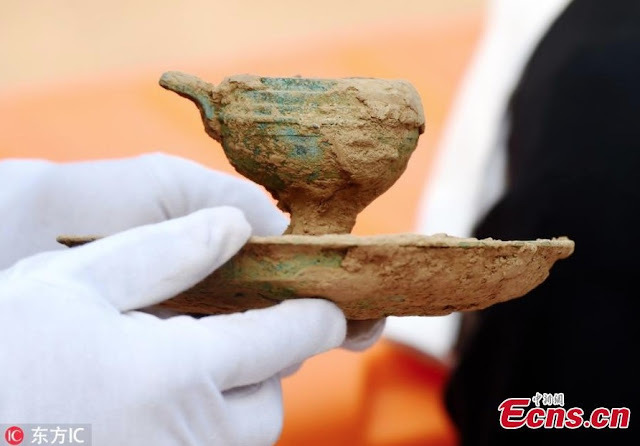 A large number of painted clay pots and bronze artefacts were also unearthed from the tomb, which covers 210 square metres. 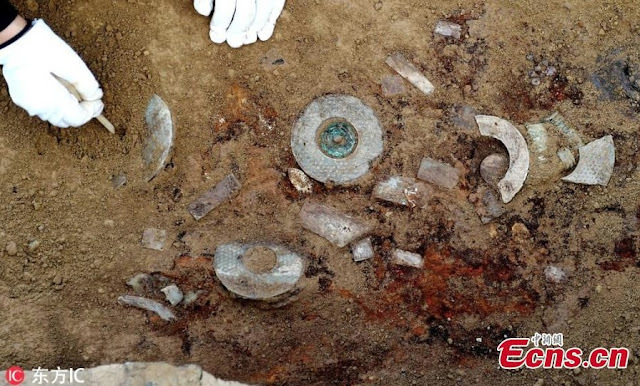 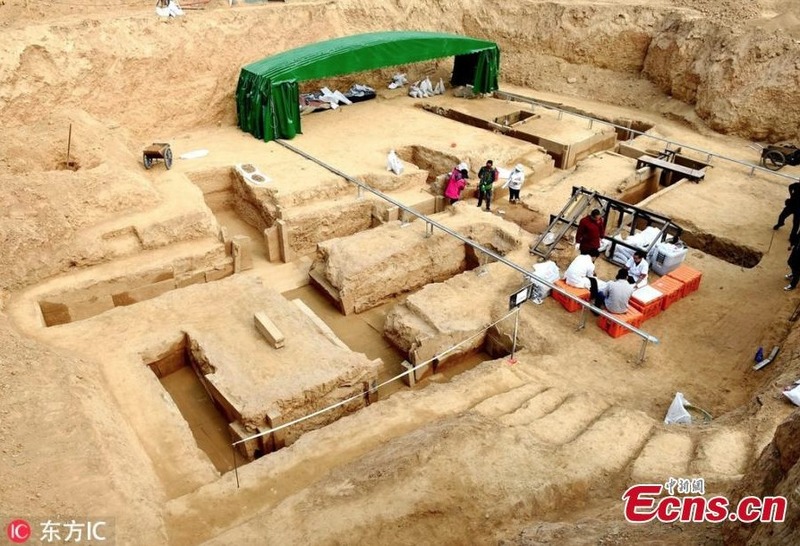 The remains of the tomb occupant have also been preserved, said Shi.